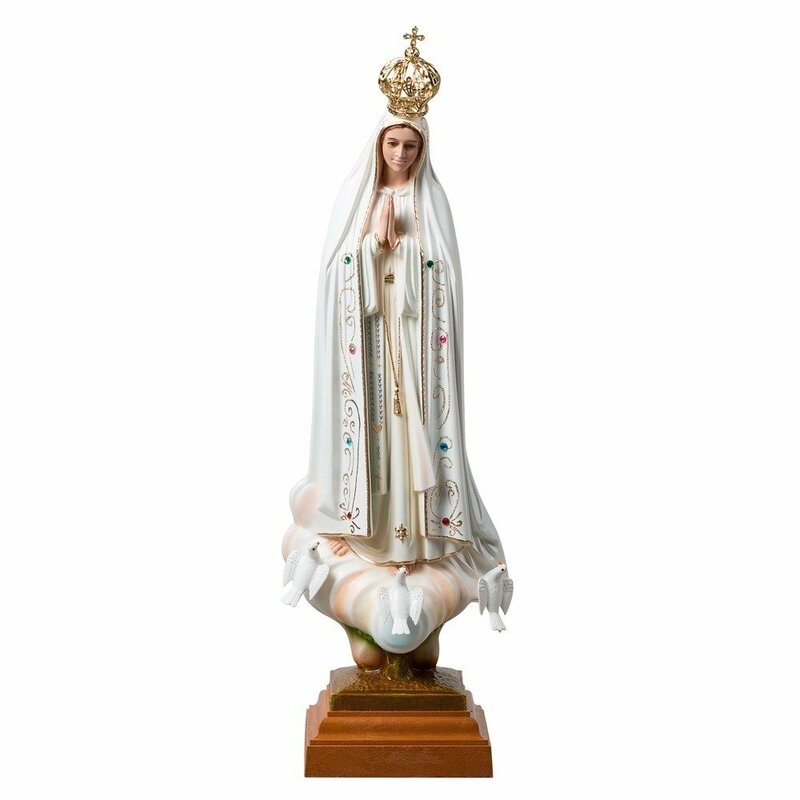 A beautiful reminder to live the Fatima message, this stunning Our Lady of Fatima statue turns our hearts and minds toward the Blessed Mother and the visionaries who received Mary's message in Fatima in 1917. Let this commemorative statue inspire you to draw near to Our Lord through Our Lady. Beautifully made in Fatima, Portugal. A powerful reminder to both young and old alike to answer God's call of prayer and penance through the voice of Mary.